Home > Meditation Techniques > What is Smudging? Smudging is a ritual practice attributed to American Indians initially, but now used widely amongst New Age practitioners, neo pagans and many other spiritual and non-spiritual practitioners who wish to change they way they feel within themselves or within a particular situation or environment. Smudging involves the burning of a stick of herbs - called a smudging stick – in order to ‘cleanse’ an area or person. The idea is that the smoke released by the smudging stick collects and neutralises, or even makes positive, bad energies. Sage and Cedar are two herbs commonly burned in the smudging process. 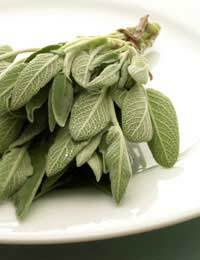 Sage is used to heal negative energies in a person and to cleanse spiritual space, whereas Cedar is used to cleanse a house. A mixture of both is used to physical spaces and their inhabitants. Bay Leaves are used to protect against colds, and fennel is used to address nervous disorders. Sweetgrass is often used to bring in good energies when bad ones have been banished. Smudging is often used to cleanse a space prior to meditation and prayer, and has equivalents in many religions where incense and candles are burned. The smudging stick is generally used in conjunction with a ceramic bowl, in order to catch the ash as it falls. It can be left in this bowl when not I use. There are many smudging rituals and ceremonies, yet, as always, those you are most comfortable with will work best. Many people suggest smudging a house by moving from room to room, starting at the bottom of the house and working up. Smudge each room by directing the lit smudging stick into each area of the room. You may wish to do this ritually, moving around the room in a clockwise motion, or in whichever other way you see fit. You can smudge yourself or another person by circling the stick around each part of the body. Some rituals involve burning the smudge stick, and ‘pushing’ the smoke towards areas in the body where bad energy is perceived. In this sense the smoke is used to cleanse the individual. A group of people may be similarly used to ‘push’ the smoke around a house – a great activity for bringing a household closer together. It is helpful to imagine relevant positive scenarios in each room as you smudge your house. Repeat affirmations, visualizing all the time each room being used effectively and positively for each purpose. Imagine many happy guests and wish them well. As a positive visualization technique and an affirmative ritual smudging is very effective whether you believe in spirituality or not. Smudging is an age old tradition and must be treated with respect. Firstly, one must be careful not to be too wasteful of the smoke and the stick – only a little smoke is needed. Second, one must be careful to respect the flame, and to remember that fire can be dangerous, take all the precautions that you would normally take when burning something. Smudging must also be conducted sparingly: to smudge too often will reduce the power of the ceremony. Every so often, and especially when it is needed, is enough.